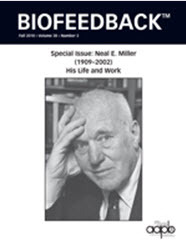 We are happy to inform that the new issue of the biofeedback magazine published by the Association for Applied Psychophysiology and Biofeedback is dedicated to Neal’s work. While the committee has not been overly active recently, I hope this event will spur more action from us all. Posted in All site material 8 years, 6 months ago at 8:41 am.